Offers a comprehensive video display, storage, and management solution which features a plug and play PoE (Power over Ethernet) camera installation. 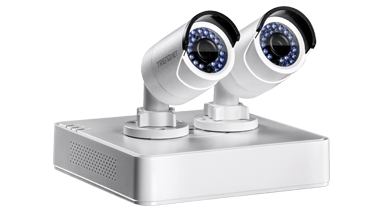 The NVR networks and powers up to four PoE cameras. Records over 6.5 days of continuous video.